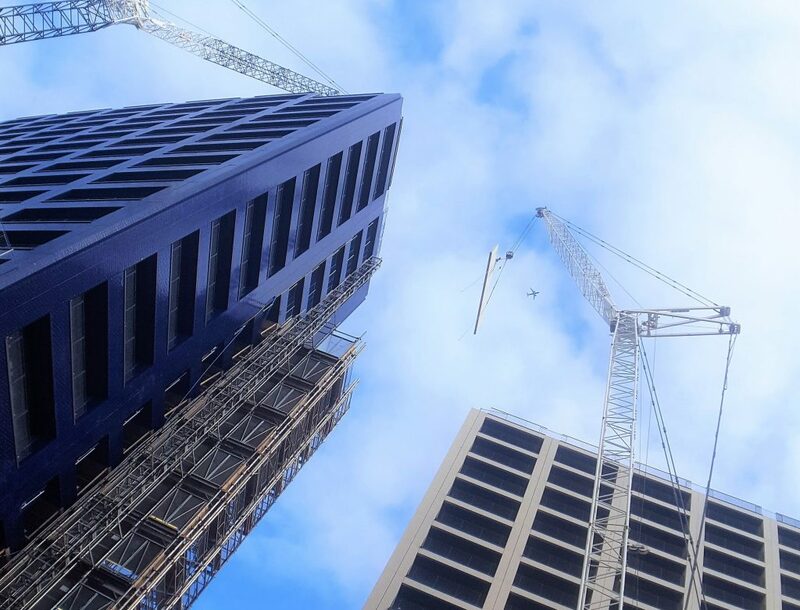 We paid a visit to London City Island to see how the second phase of construction was coming along. This development has proven to be incredibly popular with buyers, investors and tenants and it’s easy to see why. With its stylish design and exclusive facilities which include a fully-equipped gym, swimming pool and sauna, it’s no wonder that people are flocking to these new homes. London City Island will also be home to the English National Ballet and the London Film School, making this Island development a new cultural hub. Construction on London City Island Phase Two. Phase Two of London City Island in progress. Soon to be home to the English National Ballet. If you ever wondered how these developments are built so quickly this is how! This is a window block being lifted into place at London City Island. Fantastic views towards Canary Wharf and beyond. If you would like to find out more about this exciting new London destination then please do get in touch. Alternatively if you’re looking for something a little different, you might like to find out more about Goodluck Hope nearby.